It's been nearly a month since I posted here, because new, large classes, and associated blogging, have taken up much of my time. I started a blog that was specifically for my classes, but my school has the unusual policy that no information specific to assignments in a class can be on the Web where anyone in the world can see it. Sooner or later the IT department will offer a blogging capability that will limit accessibility to members of the school community. I've now played Normannia five times and Frankia (middle scenario) three times. I've also developed a simple card game, Zombie Escape, to help illustrate to students the process of game design. 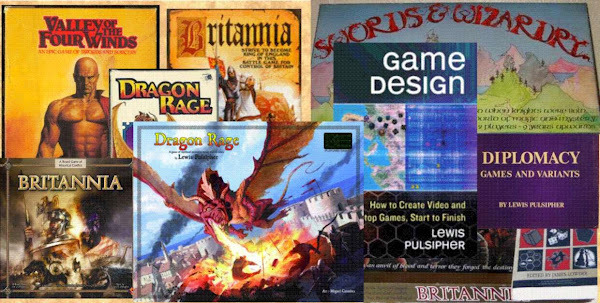 I've revived a very old game that, 25 years ago, I thought was one of my best (Britannia was another of those four; only Brit has been published). I've got some playtesting done on IMM, and some of the students play Law & Chaos so single-mindedly at game club meetings that I kind of wish they'd stop and play something else!